Some buyers want a larger house with lots of space for entertaining no matter what, and are much more flexible about the actual location. Others hold true to the real estate creed of “location, location, location” and make the neighborhood and community their priority. This actually could be a “family” analysis – your spouse, partner or children should play a part in the decision-making. What are the characteristics you want in a location? How close do you want to be to your favorite things in life, whether that be a running trail or a coffee shop? How many things do you need to be able to walk to easily or be in your neighborhood? Do you need to be close to public transportation or not? What features of a location will have the most the impact on your daily routine? Are schools important? 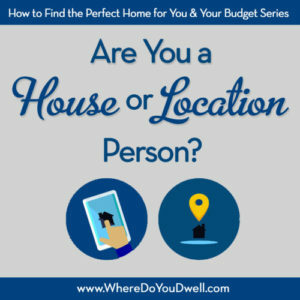 What’s important about your home other than location? What are those features you dream about or feel like you lack now? How much space will you need in the next 5 years? What things do you really want on your list, such as yard space, office space, a garage, a master suite, or a gourmet kitchen, etc.? What about a favorite architectural style or type of home such as single-family, townhome, or condo? Does it have to be pet-friendly or at least have a nearby park or trail? What is your absolute deal breaker(s) when it comes to a home or location? For example, street parking only, traffic/busy road, one-story home, not enough storage space for toys, long commute time, etc. Look over your lists and see what really stands out and makes you feel that it’s a “must” for you. Is it on the location list or the house list? This item should be something that you’re willing to make a priority in your search and will help dictate if you’re a house or location person. Remember, it also needs to be realistic. This entire analysis also should help you know what factors you’re willing to compromise on or do without in a home. You also have the attitude that you can always “change” the home to make it better suit you but you can’t change the location. 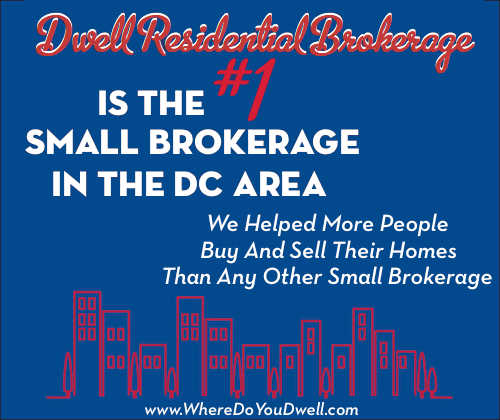 This is an important factor when you consider resale and living in a neighborhood that will retain its value. If you’ve determine that “house” is your answer, you know that a home’s features are the key selling point for you rather than a specific location. Spending time at home, entertaining, and just enjoying your space will make you the most happy. Some buyers lean toward this answer since they would rather buy a move-in ready home and be flexible with its location in order to find one within their budget. Or, even if a certain location is tempting, these buyers know that renovating a home or purchasing one too small is out of the question for them. If you have any questions about being a “house” or “location” person, please contact us. We can help you ask the right questions and get you started on your home search. Next week’s article in our Find the Perfect Home for You and Your Budget series, we’ll warn you about the three steps most homebuyers skip, and you don’t want to be one of those buyers!